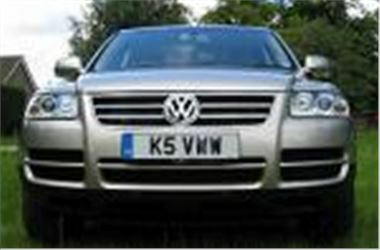 www.uk-car-discount.co.uk offers Cheap, Brand New VW Touareg Diesels with up to £4840 saving. These are Stock vehicles for immediate FREE Delivery. Brand New Un Registered you will be the 1st Registered Keeper. Prices quoted include 12 months VED, 1st Registration Fee, VAT, Number Plates and yes FREE Delivery to your home or place of work. All colours available. Call to secure your vehicle for delivery on the 55 Plate. All cars UK dealer supplied with 3 year manufacturers UK warranty.